Take a Break’s Crosswords Collection is a monthly puzzle magazine full of fun and challenging crossword puzzles. 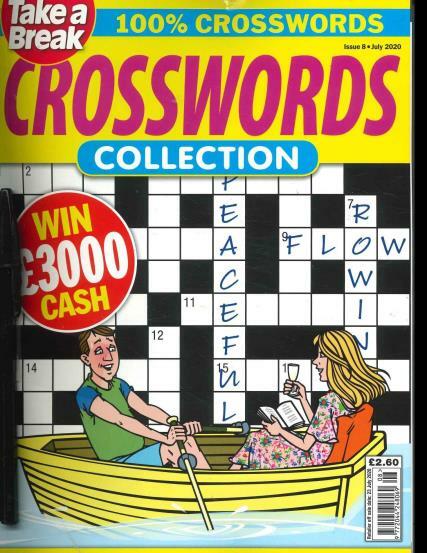 Buy a single issue or subscription to Take a Break’s Crosswords Collection. Take a Break’s Crosswords Collection consists of different variations of crossword puzzles, from straight to cryptic, and quiz crosswords; crossword puzzles are the perfect brainteasers to test your general knowledge. Each issue contains a fantastic selection of over 70 puzzles and offers one lucky reader the chance to win cash prizes!